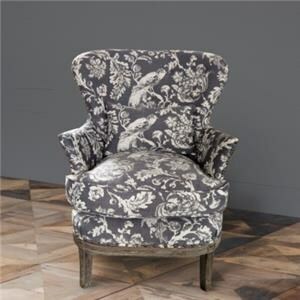 The Chair Grey Bird Toile Upholstered Arm Chair by Park Hill Collection at Howell Furniture in the Beaumont, Port Arthur, Lake Charles, Texas, Louisiana area. Product availability may vary. Contact us for the most current availability on this product.